Down under, didgeridoos and Crocodile Dundee…it’s an Aussie Microgaming casino, complete with all the trimmings. Online pokies (slots), all the table games you can get your head, complete with that hat and its hanging beads, around and some mighty fine bonuses make Casino Mate a good mate to have. 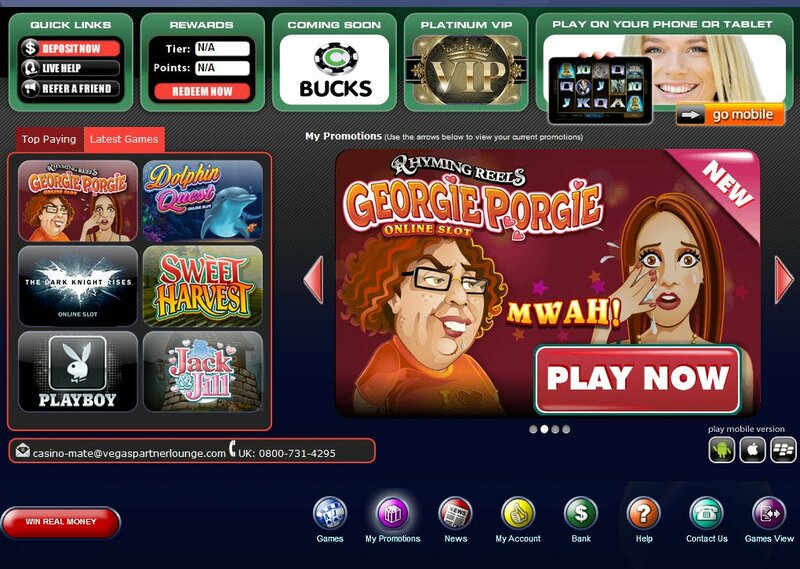 Here's an authentic Australian online casino that wants to be our mate…Casino Mate says, "Go on; join the family, we’d be happy to have you!" They also promote the warmth and hospitality of real Aussie culture. They even welcome New Zealanders! Promising top dollar fun, this member of the Vegas Partner Lounge gaming group is registered and licensed with the Lotteries and Gaming Authorities of Malta and certified by eCogra. With 18 languages available to download Casino Mate in, it is certainly easier than ever to put your linguistic skills to good use. Spread across the usual European languages, with Korean and Chinese (Simplified) thrown in for good measure, it is obvious Casino Mate is proposing to get friendly with as many people as possible. After downloading, a deep male voice welcomes me to the casino. I wish I could also try the casino in another language to check if I was also welcomed in that language! 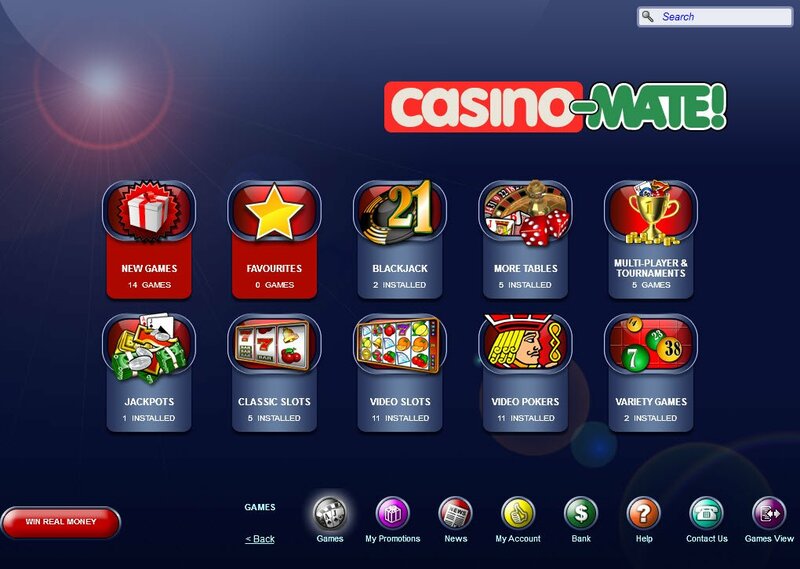 Casino Mate is also mobile, and waiting to offer you all its Aussie goodness in the palm of your hand. As a Microgaming fan, you always know where you are with a Microgaming Casino Mate casino. Over 600 games available, with table games, and the Australian named online pokies (slot machines), you will have the latest Microgaming offerings at your fingertips, complete with cool graphics and innovative ideas behind them. You will find all the much loved table games, and an extensive amount of variations on these standard casino table games from all countries, and to suit all tastes. And let's not forget about their speciality games to boot! Casino Mate games will have you feeling very friendly indeed. Plus there's a progressive Casino Mate jackpot to fill your possum stew up with. Casino Mate bonuses comes in three tiers, there's a 100% bonus of up to $100 on your first deposit, a 200% bonus of up to $50 on your second, and a 50% bonus again up to $50 on your third. Casino Mate players can link up with them on all the social media platforms available, and get special offers straight to their profiles from the casino. Then there is the Free Play offer…an hour of play with $3,000 in your wagering pocket. You get to cash in your winnings after the times up, too! 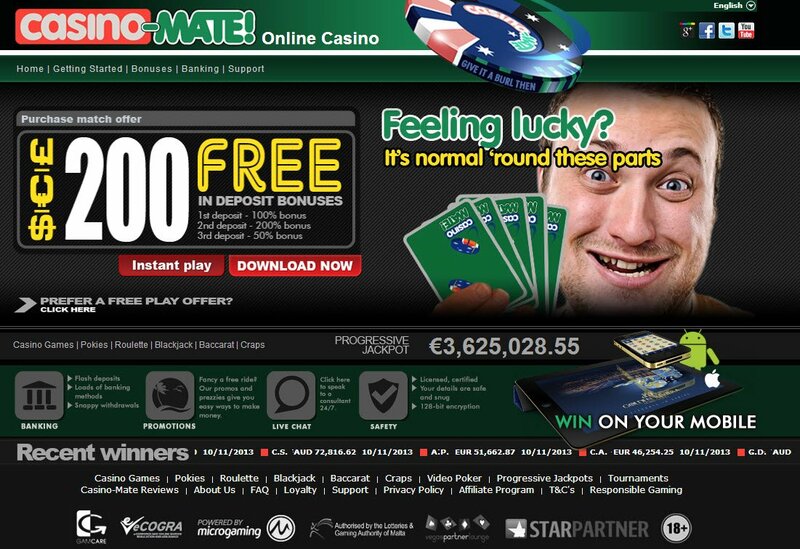 There is also a Casino Mate loyalty programme, with special offers that increase, along with your points, as you move up the ranks, to become better mates with this online casino. Casino Mate is not just mobile, it is also social, and Casino Mate players can link up with them on all the social media platforms available, and get special offers straight to their profiles from the casino. With all the most popular Casino Mate payment methods available, you can deposit in most currencies, and using most different types: eWallet, credit card, debit card, and others. As Casino Mate uses 128 BIT SSL technology, your personal information will be encrypted for your security. There are also the features of Play Check and Cash Check, so you can monitor your transaction history. Customer service is provided via telephone, email and live chat. I wouldn't say my live chat operative was very friendly, nor did she provide the general information requested without asking for everything but my shoe size, but she was prompt and polite. Just another microgaming casino that I don’t like… Yea they have all those games, but BetSoft and Netent casinos have much better games, with bigger payouts!